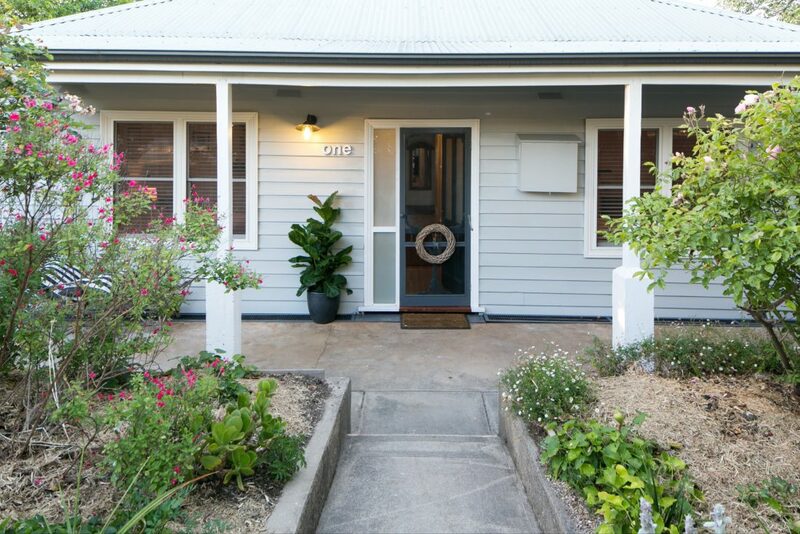 One on Last is beautiful four bedroom self-contained house perfectly positioned in the heart of historic Beechworth, with wonderful sunset views of the Woolshed Valley. The house is well equipped for small groups sleeping eight to 10 people. The property is pet and child friendly and have off street parking. It is a very short and flat walking distance to the main street. The home is very private, quiet and on the edge of the Historic Beechworth Gorge Reserve. Hear the wonderful sounds of nature with beautiful uninterrupted views. Great for girls weekends, families coming together, or groups of couples. With so much natural beauty in the heart of town this property is truly unique. Beechworth is approximately 30 minutes from Albury Airport and a comfortable three hour drive from Melbourne or Canberra. Well known for is magnificently preserved Victorian streetscape, food and wines, great shopping and wonderful nature based pursuits such as hiking and bike riding. Almost every month there is a festival or event on of some description so plan your weekend away to tie into these. There is also a stunning lake, lined with magnificent pine trees, great fishing and a swimming beach and play equipment.